﻿ What do wildlife rehabilitators do with opossum? What do wildlife rehabilitators do with opossum? To cope with the drastic harms various wildlife creatures are prone to experience, wildlife rehabilitation companies have been established in most areas. The rehabilitation center serves in the area of the treatment and care of wounded, orphaned, or diseased wild animals so that they can be fit again and healthy enough to release back to the wild. The rehabilitator will inspect the animal to check the degree of the injury and make a plan for the effective rehabilitation. After determining the extent of recovery needed, the animal will be treated accordingly with proper feeding and a safe residence with comprehensive medical treatment. A licensed wildlife rehabilitator is responsible for taking proper care of orphaned and injured wildlife. Orphaned baby animals are handled with normal care or upbringing while rehabilitation is provided to the injured species. Most rehabilitators, however, are not prepared to go and collect wildlife on their own as they prefer that the orphaned or injured animal be brought to the rehab center. It should be respected that these rehabilitators are often working voluntarily and those who are paid employees have a long hour job to accomplish while being outside of their residences. The limitation with these rehabilitators is that they are usually an expert of a sole species and could not handle multiple types of animals at a time. 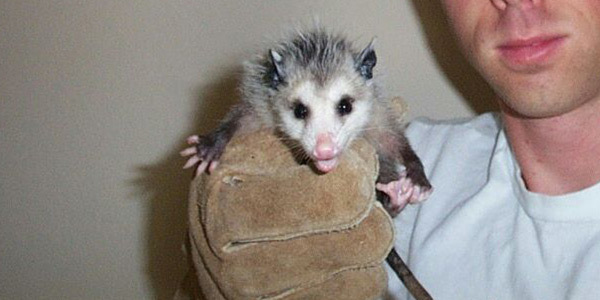 The opossum rehabilitation care depends on the age and physical condition of the animal. If you have transferred the possum, then the trained personnel at rehab centers will figure out what kind of care it needs. For less than 4 inch infants, extra care is given by warming them to a proper temperature and rehydrating them. An animal milk substitute is given via a dropper and then they are stimulated properly to excrete. For a reasonably aged possum, like a 4 to 7 inch toddler, there is no need to feed them via a dropper; however, hand feeding is required for weak animals. The rehabilitators are well aware of how to deal with infectious fleas attacking the mammals. They skillfully remove the fleas to save the opossum from contagious bacteria. The wild life rehabilitators often conduct training and education programs to make people aware of the wildlife concerns. Additionally, they are at your service to provide professional animal care. These professionals will help you if you find a sick or injured opossum within your property.